Cinco Ranch Roofers serves Cinco Ranch, Texas homeowners and business owners with complete roof repair and replacement services. Whether your roof has been severely damaged by high winds or tropical storms, Cinco Ranch Roofers is highly skilled and ready to serve all of your roofing needs! Cinco Ranch Roofers offers full-service roofing designed for the unique needs of residential homes and outbuildings in Cinco Ranch, Tx. Whether you need a new roof for your home, condo, townhouse, or farm house, hiring a professional roofer with a solid reputation in the area is a smart move. We have been serving Cinco Ranch for decades with excellent results. In addition to providing you with complete residential roofing service, Cinco Ranch Roofers also specializes in professional roofing services for Cinco Ranch’s business sector. Whether you need to hire a roofing contractor to provide roofing for a subdivision or commercial construction project or need a roofer to handle routine roofing maintenance for your commercial properties, you can count on our experience, expertise, and commitment to providing prompt, reliable service. Cinco Ranch Roofers prioritizes: high quality roofing materials designed to withstand the rigors of Texas; friendly, courteous service; and the best craftsmanship possible. 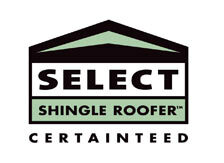 You can count on us to deliver our roofing expertise with a smile. Our business and its reputation have been built on a foundation of quality, service, and craftsmanship. Let us show you what we are capable of today. 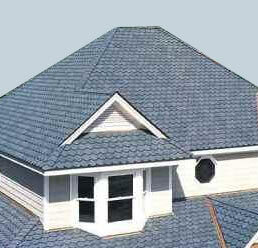 Call us now for a free roofing estimate.